The mothership has landed. The MUJI mothership, that is. If you're not a fetishist of Japanese products and design, this news may be completely meaningless. 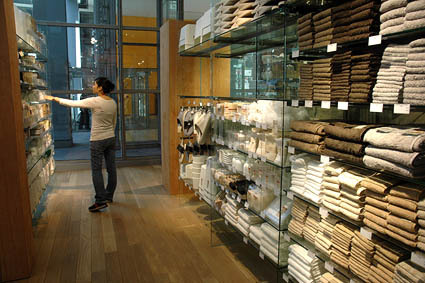 But, for devotees of MUJI's "brandless" brand of smart design, today marked the opening of its first flagship store in the United States. To refresh your memory, MUJI opened a shop in SoHo last November (covered in an earlier post here). This satiated the MUJI cult for the time being. But, before long, attention turned toward MUJI's construction of a much larger store in Times Square. I attended the press preview of the new MUJI earlier today. Located on the ground floor of the new New York Times Building, the store boasts 4,350 square feet of shopping space. Surrounded by glass walls, it's a light-filled, airy interior for contemplating the array of stationary, clothing, housewares, and travel goods (and whether you really need MUJI's super-cool wall-mounted CD player even though your entire collection of music now resides on an iPod). Grand Central Oyster Bar and Restaurant (89 East 42nd Street, Lower Level) is hosting its annual Herring Festival. Each year, the Oyster Bar gets the first shipment of new herring to the United States fresh from the Netherlands and the North Sea. The herring remains on the menu for about three weeks, not to be enjoyed again for another year. 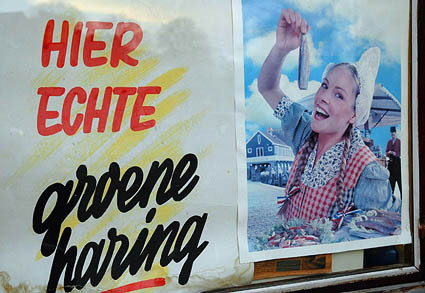 The month-long Herring Festival kicks off during the first week of June (212.490.6650). Fencing for frankfurters? Saber-rattling for sausage? 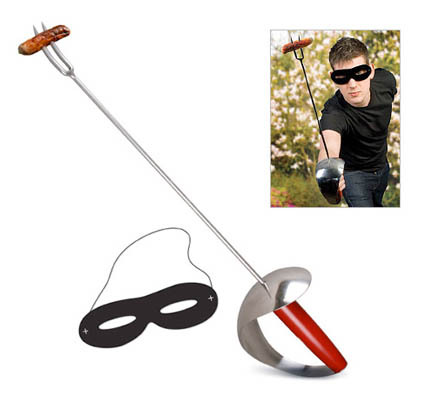 The BBQ Sword may be the ultimate gadget for the swashbuckling grill-master. The fork-tipped sword, made of stainless steel, comes with a cut-out mask to complete the Zorro look (or to hide your identity in shame). $29.95 at Firebox.com. Bar Essentials Clockwise, from left: Hamilton Beach Hand Crank Citrus Juicer, Vollrath shaker tins, basic citrus, claret bottles, and, for reading, Dale Degroff's The Craft of the Cocktail. Ryan Magarian (see earlier post) gave us some tips for expanding your cocktail horizons. Keep reading for more info on how to create your own killer "liquid kitchen." These pointers ensure that at the very least you'll drink quite well, and should help get your parties started, too. · A foundation of great spirits. · Bowl of basic citrus (lemon, limes, oranges). · 3 bottles of simple syrup (1-to-1 ratio of cold water and granulated sugar, completely integrated. A teaspoon of vodka will stabilize it for up to a month). · 30 ounce shaker tins by Vollrath. · Claret bottles and thin steel tip pour spouts with plastic polycork. · ½, ¾, 1 and 2 ounce jiggers. · Hamilton Beach Hand Crank Citrus Juicer. · Dave Wondrich, Imbibe! From Absinthe Cocktail to Whiskey Smash, a Salute in Stories and Drinks to "Professor" Jerry Thomas, Pioneer of the American Bar ("The best book ever written about cocktails"). · Gary Regan, The Joy of Mixology: The Consummate Guide to the Bartender's Craft ("Breaks things into templates and categories. A great learning book."). 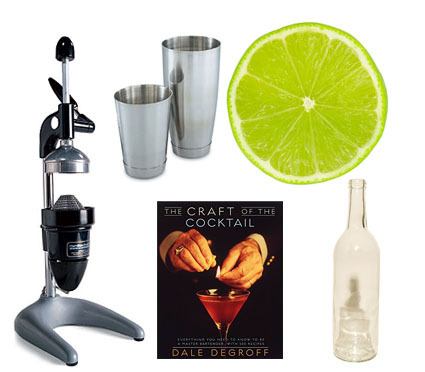 · Dale Degroff, The Craft of the Cocktail: Everything You Need to Know to Be a Master Bartender. · Ted Haigh, Vintage Spirits and Forgotten Cocktails: From the Alamagoozlum Cocktail to the Zombie ("Outrageous book, outrageous guy"). · David Embury, The Fine Art of Mixing Drinks (this out of print book from the 1940s is "what many cocktail fanatics would say is the definitive work about cocktails"). · DrinkBoy, the website by Magarian's mentor, Robert Hess. Astor Center (399 Lafayette Street) presents "Life Behind Bars" with author and former long time bartender Gary Regan. 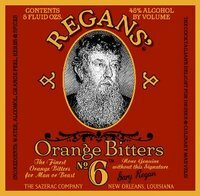 Regan was raised in British pubs and was put to work as a bartender at the age of 14. In 1973, he fled to Manhattan and worked in numerous bars and dives through the 1990s, when he began writing about cocktails. During the presentation, he will talk about his life, what it means to be a bartender. and make special drinks for the guests. The event will take place on Friday, May 24th in the Study from 3:00 p.m. to 5:00 p.m. Tickets: $75/person. At S Bar in Hollywood, master bartender Ryan Magarian (second from left) watches approvingly as mixologists-in-training learn the nuances of crafting cocktails. If cocktails everywhere were designed by Ryan Magarian and made by bartenders who have been through his training program, we'd be a country of seriously raging alcoholics. But such a scenario would be very expensive. And more importantly, he'd never want it that way. "I’m not trying to get people to drink more. I’m getting people to drink less. I just want you to drink better," he says. Although some existing and invented buzzwords are tossed around, he uses "passion," "awesome," and "excited" with such frequency and conviction that you just have to believe him. The 10-plus years Magarian has spent concocting thousands of drinks and customizing cocktail menus for clients large (Holland America Cruise Line, Fairmont and Sofitel Hotels chains) and small (restaurants in Portland and Seattle) have not dampened his enthusiasm one bit. But lately the "associates" in his firm, Liquid Relations, crisscross the globe when he needs to stay closer to home in Portland. Magarian's other venture, Aviation Gin, takes his ambition one step further by allowing him to formulate actual raw materials, not just ingredient combinations. Such is the life of a master mixologist in contemporary American cocktail culture. Following in Savoy's 8-year tradition, its sibling restaurant, Back Forty (190 Avenue B), presents its first annual Calçotada, a traditional Catalan onion festival that marks the start of spring. Enjoy live flamenco music as you enjoy grilled calçots (leeks) dipped in romesco sauce, hearty lamb chops, and a dessert of crema Catalana. The event will take place on Wednesday, May 14th with communal seating being held between 6:00 p.m. and 7:30 p.m. Prepaid reservations are required. $60/person (212.388.1990). Joanne Chen is the author of the newly released The Taste of Sweet: Our Complicated Love Affair with Our Favorite Treats. In the book, her first, she explores the science and culture behind why some of us have insatiable sweet tooths while others do not. The book also pays particularly interest to Americans' love-hate-guilt relationship to sweets and desserts. There’s no doubt you're an avid lover of sweets. How did your sweet tooth become the inspiration for the book? I grew up in a family that loved food, all sorts of food including sweets. We always had desserts and afterschool snacks, and I never thought sweets were a bad food or something limited to special occasions. So, when I became an adult, I was appalled that people didn’t feel the same way. I couldn’t believe people would pass up a just-baked pie! Or feel guilty about eating a cookie. So this book was an excuse to explore how our relationships with sweets (and food in general) came to be. You write about the many ways people experience taste. What’s the difference between a non-taster, taster, and super-taster? How can someone find out what category they fall into? 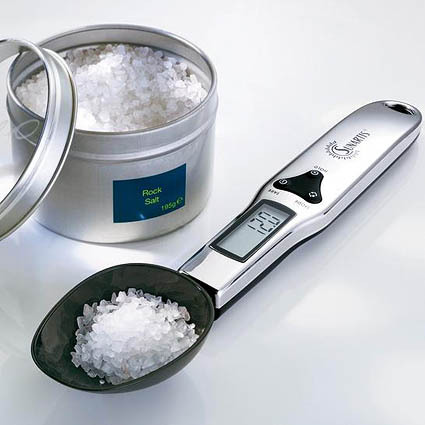 Super-tasters have a higher density of taste buds than tasters and non-tasters. Our taste preferences are mainly determined by culture and experience, but our density of taste buds influence how intense certain foods might taste. So super-tasters are more apt to think certain vegetables, like Brussels sprouts, are very bitter, or certain sweets, like Rocky Road ice cream, are too sweet. As one scientist I interviewed explained, super-tasters live in a neon taste world, while non-tasters live in a pastel taste world. 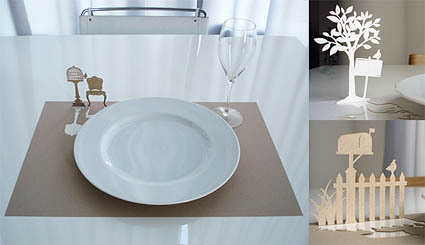 You can get an idea by taking a quiz on my website, The Taste of Sweet. You can also get strips of PTC paper from science hobby or teaching shops. These test strips will taste bitter to super-tasters and tasters. Non-tasters will taste nothing at all. Are some sweets perceived as more low-brow than others? Why is a box of Godiva chocolates more coveted than a box of Whitman's? Isn't it all chocolate? Yes, I believe some sweets ARE perceived as more low brow than others. It all depends on context. Godiva chocolates are considered more high end than Whitman’s because the price points are higher, justified, in part perhaps, by the purity/quality of the chocolate and fillings it’s made with. However, one scientist I interviewed brought up a good point. He wonders why certain wines are deemed better than others—what is “better”? It’s only deemed better because someone influential in a particular circle says so. Of course, in some social circles, Godiva chocolates are low brow, and something else—like Vosges or Michel Cluizel—is consider high brow.